It's a jam-packed 12 hour live music marathon featuring amazing music all while supporting amazing causes! 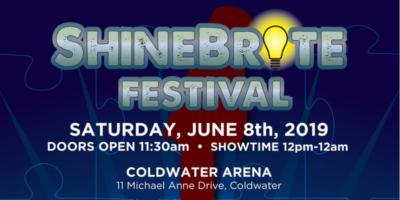 ROCK 95 is a proud sponsor of the Shinebrite Festival on June 8th at the Coldwater Arena. It’s a 12 hour day Jam packed with music marathon featuring great live music! 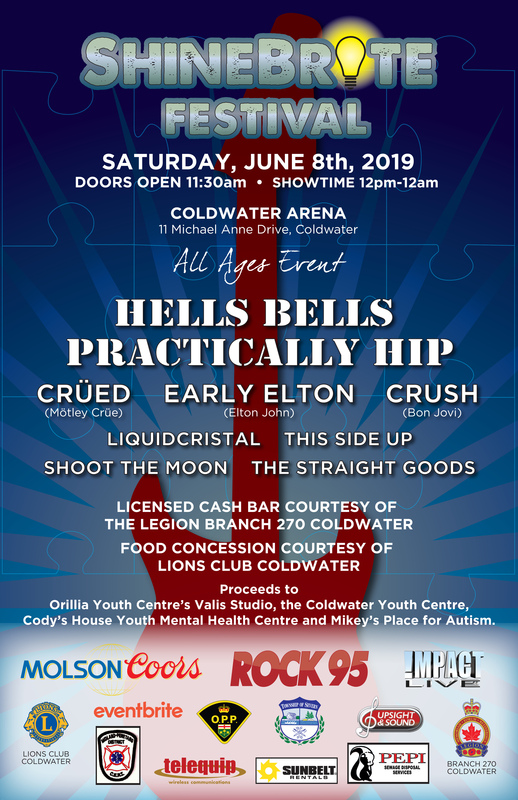 Tickets are on sale now, with proceeds going to Orillia Youth Centre’s Valis Studio, Coldwater Youth Centre, Cody’s House and Mikey’s Place for Autism! Bench seating is available on a first come first seated basis!